gedit is a text editor for the GNOME desktop environment, Mac OS X and Microsoft Windows. 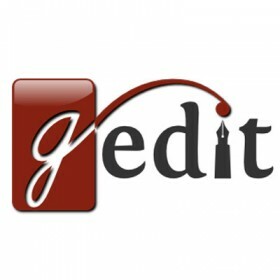 Designed as a general purpose text editor, gedit emphasizes simplicity and ease of use. It includes tools for editing source code and structured text such as markup languages. It is designed to have a clean, simple graphical user interface according to the philosophy of the GNOME project, and it is the default text editor for GNOME.